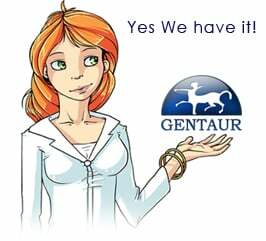 Gentaur antibody-antibodies.com The Marketplace for Antibodies : Mitochondrial NADH Dehydrogenase Subunit 3 () Polymorphisms are Associated with Gastric Cancer Susceptibility. Mitochondrial NADH Dehydrogenase Subunit 3 () Polymorphisms are Associated with Gastric Cancer Susceptibility. Accumulating evidence indicates that mitochondrial DNA alterations contribute to cancer development and progression. In this study, we evaluated the relationship between polymorphisms of mitochondrial NADH dehydrogenase subunit 3 () and the risk of gastric cancer (GC). Five single nucleotide polymorphisms (SNPs; rs28358278, rs2853826, rs201397417, rs41467651, and rs28358275) were identified and genotyped in 377 patients with GC patients and 363 controls by direct sequencing. The rs41467651 T allele was significantly associated with GC risk [adjusted odds ratio (OR) = 2.11, 95% confidence interval (CI) = 1.25-3.55, = 0.005). In stratified analysis, rs28358278, rs2853826, and rs41467651 were associated with subgroups of GC, with the rs28358278 G, rs2853826 T, and rs41467651 T alleles associated with an increased GC risk in females (adjusted OR = 1.70, 95% CI = 1.08-2.69, = 0.023; adjusted OR = 1.78, 95% CI = 1.11-2.85, = 0.016; adjusted OR = 2.07, 95% CI = 1.04-4.12, = 0.038, respectively). The rs441467651 T allele was also related with GC risk in diffuse-type subjects compared to that of controls (adjusted OR = 2.61, 95% CI = 1.43-4.89, = 0.002). In addition, The rs441467651 T allele was significantly related with increased GC risk regardless of lymph node metastasis (LNM), T classification, and tumor stage compared to that of controls (adjusted OR = 2.00, 95% CI = 1.12-3.55, = 0.019 in LNM-negative subjects; adjusted OR = 2.10, 95% CI = 1.05-4.22, = 0.0379 in LNM-positive subjects; adjusted OR = 1.82, 95% CI = 1.02-3.24, = 0.042 in T1/T2 subjects; adjusted OR = 2.60, 95% CI = 1.29-5.24, = 0.007 in T3/T4 subjects; adjusted OR = 1.91, 95% CI = 1.09-3.34, = 0.025 in tumor stage I (A+B)/II (A+B+C) subjects; adjusted OR = 2.36, 95% CI = 1.12-5.13, = 0.025 in tumor stage III (A+B+C) subjects) compared to that of controls. Our findings suggest that the rs28358278, rs2853826, and rs41467651 polymorphisms of increase the susceptibility to GC development.